In recent years, sustainability has become more than just a boardroom buzzword. Increasingly, it is a major factor driving the decisions of consumers and corporate stakeholders. At Guess, we believe corporations have a responsibility to give back to the global community: we have a long history of philanthropic and charitable work, and sustainability helps us to extend our positive impact on a greater scale. For us, sustainability is not a choice – it is a corporate imperative that is consistent with the values of the Guess brand and principles of the Guess business. We know there are many critical issues facing the planet and the people who live on it, and we want to do our part to ensure the world is safe and healthy for generations to come. This is important for all of us – our employees, our customers, our children and our planet – to thrive. Our communication strategy has undergone a significant transformation in the past five years. Prior to our first sustainability report, which we published during my first year at Guess, the company did not publicly disclose information that was not explicitly required. We have worked to change that culture in recognition of the fact that our stakeholders want more transparency. We report against the Global Reporting Initiative standards and have our data reviewed by a third-party auditor. It is important that the information and data is credible and comparable year after year. For Guess, transparency means providing an open and honest account of our sustainability journey, and we firmly believe that education and engagement on sustainability are key to effecting real, long-lasting change for our business and industry. We seek to empower employees to come up with new solutions that can be made into a reality through education. We are now in the third year of our partnership with our local fashion institute, the Fashion Institute of Design & Merchandising (FIDM) in California, where we sponsor a sustainability class for their students and our employees. We strongly value the education of our employees and the wider community in sustainability as we believe people are key to solving one of the greatest challenges of our time: climate change. After attending a class on innovative textiles, for instance, our fabric team soon identified a material with recycled components that could be used for Guess’ products. In addition to the FIDM class, on-campus events such as World Water Day, Earth Day and our corporate recycling and paper-saving initiatives help to build employee interest in these issues. As part of our sustainability plan and as a result of our sustainability reporting, we also recognise the importance of protecting the workers in our supply chain. We now strive to go beyond compliance to positively impact workers’ lives. 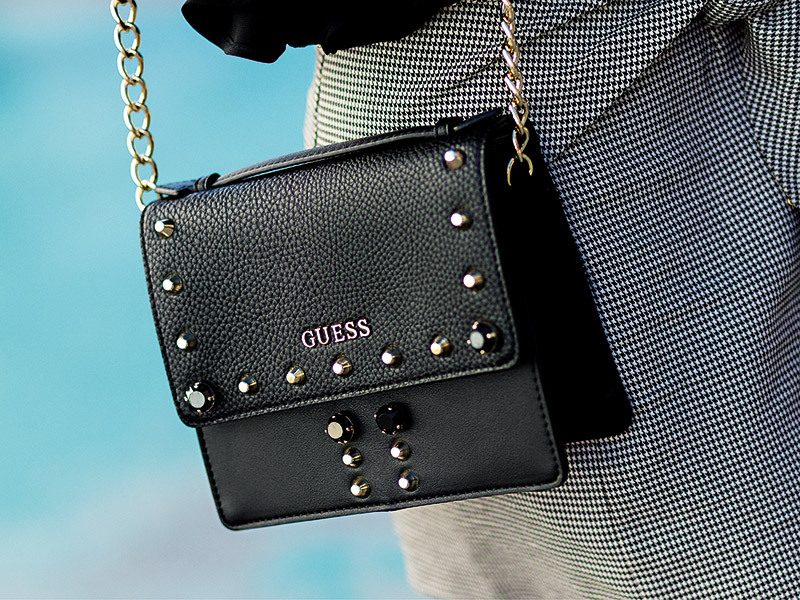 Guess already has an established social compliance programme, which is aligned with organisations such as the International Labour Organisation. This programme details the company’s policies on international human rights and labour laws. We conduct and charter regular audits to assure that our standards are upheld. Further, we are currently increasing the quality and quantity of training on rules, regulations and best practices for our partners in our major sourcing regions: Asia, the Americas and Europe. We are also experimenting with programmes that allow factory workers to anonymously report workplace issues to an impartial non-profit organisation to help protect workers. To create large-scale change, collaboration across the industry is imperative. We are members of the Sustainable Apparel Coalition, which is developing the Higg Index – a suite of tools to create comprehensive, standardised measurements of sustainability for the industry. As the tools evolve, we strive to integrate them with our initiatives. Currently, we use the Higg Index to assess environmental management and performance in the supply chain. We are also collaborating with others in the industry through the Better Cotton Initiative, which works with cotton farmers to improve practices and better respect the environment, workers and communities. 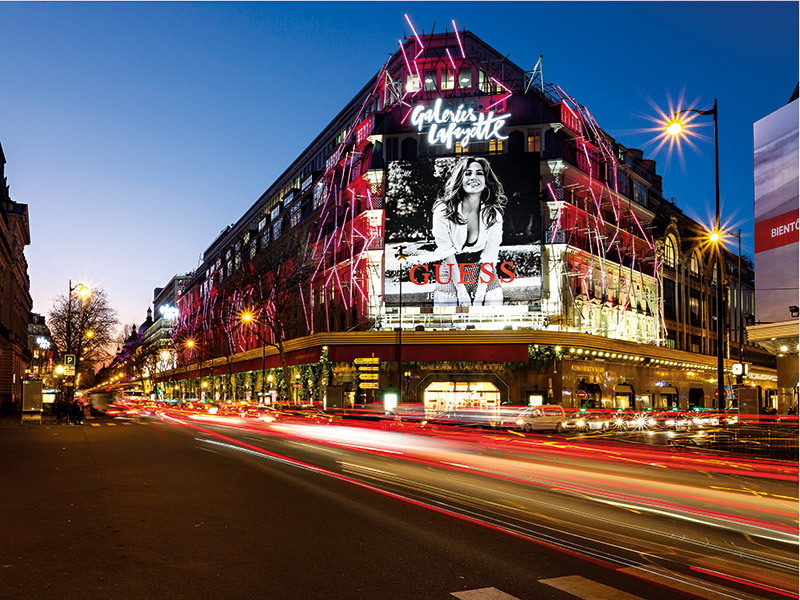 At Guess, our primary efforts have revolved around energy efficiency; we have invested significantly in LED lighting retrofits for our most energy-consuming stores, and have also updated systems at our distribution centre in the US. In Europe, we selected a new location for our distribution centre in part due to its energy credentials. Next year, as we explore the transition to the Science Based Targets initiative – a new standard of measuring sustainability created through a collaboration between the Carbon Disclosure Project, the United Nations Global Compact, the World Resources Institute and the WWF – we will have to double down on energy efficiency as well as looking beyond that to employee behaviour and alternative energy sources. Looking even further into the future, we’re actively working on our commitment to promote circular fashion. A circular system is one where fashion lasts and isn’t wasted. The first step in advancing towards a circular fashion system is to increase the collection of unwanted items so they move on to their next best use, whether that means second-hand wear or recycling. Currently, only 15 percent of textiles are recycled in the US. This is why we have launched RESOURCED, our in-store take-back programme for all of our US brands, which we plan to expand internationally by 2020. We have made this promise through the 2020 Circular Fashion System Commitment, organised by the Global Fashion Agenda, and will continue to evaluate how successfully we are supporting the industry effort. As we pursue a more sustainable business, we want our customers to know that the days when sustainability meant a compromise in the look and feel of clothing are gone. Although elevating our processes takes time, we are confident that when we produce a sustainable item – whether that is achieved by using recycled materials or less water – it is just as fashionable and high quality as our other products. By helping our customers look and feel good in our clothing, we are making sustainability stylish – a cornerstone of the Guess sustainability plan. Our customers are very excited by and supportive of our sustainability efforts. We have seen a positive reaction to the RESOURCED programme and to the Guess Eco collection, which outperformed other collections when we emphasised its environmental benefits. We have only just started to communicate with our customers on this and are excited to launch more consumer-facing initiatives. The expectations for corporate social responsibility (CSR) vary depending on the stakeholder. Investors, for instance, may want to monitor our performance in terms of environmental, social and corporate governance (ESG) issues. Since we started sustainability reporting, we have increased our Bloomberg ESG disclosure score by over 130 percent. This year, we’ve also completed our first submission with the Carbon Disclosure Project, which is the pre-eminent resource investors use for business climate data. Employees, meanwhile, wish to work with a company that shares their values. In addition to education, we also provide volunteer opportunities for our employees, such as through the construction of a clean water tower in Puerto Rico. We want our employees to have an active role in our sustainability initiatives. We are keen to meet our customers’ expectations regarding CSR. For Millennials and, increasingly, Generation Z, sustainability plays an important role in their brand loyalty and buying decisions. By investing in sustainability efforts that have a positive impact on our community and the wider world, we are demonstrating that we understand our customers’ values and care about them.